One of the most crucial reports that every one of us has to beware of is the personal credit report. This is a report prepared by different credit bureaus namely Equifax, TransUnion, and Experian. The three sites monitor the timely payment of bills of all individuals, the frequency of borrowing, the loan repayments as well as any other payment that an individual is required to make. All of this data is what is used to come up with your credit score which usually ranges between 350 and 800. A credit score of 350 means that you do not pay your bills on time and banks as well as vendors have a big risk whenever they decide to extend credit to you. This means that a low credit score will reduce or even kill chances of getting any form of financial assistance from either a financial institution, a vendor or any other source. On the other hand, a higher credit score indicates the individual pays all their bills on time and is financially stable. This is attractive to lenders since in their minds, the perception is that the individual in question has a high capacity to repay any form of credit extended to him. It is also very crucial for every person to stay on top of the game when it comes to monitoring credit reports. At times, hackers may infringe into your credit account and borrow goods or loans in your name without your knowledge. This will likely lower your credit score ratings since maybe by the time you know it, the payment date would have been surpassed and you end up making delayed payments. So, what is the best way to monitor your credit score rating? It's by getting a credit report on a regular basis and monitoring the activity. There are different sites that offer credit reports so we have listed the best sites for getting credit reports. This is a credit report site owned and run by Experian which is one of the credit bureaus responsible for creating credit reports for individuals as well as businesses. When you join the program, you are entitled to a free 7 day trial period after which you may either choose to cancel or continue with the subscription payments. The standard Credit Report programs only offer you access to your Experian daily credit report as well as the monthly one. However, when you subscribe to get the report from the three credit bureau agencies, there is a monthly payment of $24.95. On top of the credit report, the site monitors your report daily and in case of any fraud detection, automatic alerts are sent to you via email and text. It also offers Identity Theft Insurance of $50,000 just in case your account is compromised. It also has an identity theft protection at a cost of $15.95 and Experian credit tracker at a fee of $1 per week. This is an official credit bureau site situated in Dublin as its headquarters. The credit report from this site allows you to compare the different credit reports produced by the three bureaus. Signing up and creating an account with Experian means that you will be given a free seven-day trial period after which you will have to either subscribe for reports at a fee or cancel. The report from this site gives you the ability to monitor your daily report, protect your account against Identity theft Protection and identify if there is an error in your report immediately. It also has toll free support where you can make an inquiry about your report at any time. Having a platinum plan on this site will give you access to three credit reports from the three credit reporting bureaus. This gives you a thorough and true reflection of where you financially stand at any time. This is attributed to the fact that every bureau uses a completely different method when it comes to the determination of a credit report. Apart from the credit report, you will have guaranteed identity theft insurance coverage which is only effective if you become a victim of identity theft. You will also receive quick alerts whenever a suspicious activity is detected. The same applies whenever a different individual tries to access credit using your name. The aforementioned measures mean that the report you get is authentic and truly reflects how you have been doing financially. This site works in very close partnership with TransUnion to provide the subscribers with credit monitoring service as well as monthly reports as analyzed by TransUnion. It has a mobile application which enables members to enjoy the convenience of getting a report from the comfort of their phone. It has rich content on how one can improve your credit score or rather how you can rebuild or repair the current score that you have. You have the freedom to choose between the free subscriptions that do not have a lot of information about the report or choose to upgrade and pay monthly subscriptions. The subscriptions will enable you to monitor for identity theft, as well as any other issues that may occur in your report. This is another site from FICO, the inventor of the scoring model used by the three credit bureau agencies. It offers a wide range of services such as credit monitoring, credit reporting, and identity theft protection. The credit report from FICO is sent quarterly (every three months) to enable individuals to review their financial position and see how well they are placed in terms of credit worthiness. The credit report released by FICO comes from the three agencies, with each agency giving out a different report, enabling you to compare all of them. The good thing about having the three reports from the three agencies is because vendors and lenders may inquire for any of the reports from the bureaus before extending credit to you. This means that when you have all the reports, you will be able to make corrections promptly. At $29.95 per month, you will be able to get your credit reports and monitor all the information regarding your debts and payment activity. It also has identity theft insurance worth $1,000,000 which comprises of monitoring any unusual activities in your account, sending fraud alerts as well as lost wallet assistance. This is another good site where you can easily access your credit. The site partners with TransUnion to provide you with detailed information about your credit. The credit tools CreditKarma provides include; credit report alerts from TransUnion, deep analysis of your financial information about loans and other forms of credit, how you manage your finances as well as debt as well as giving you the subscriber a credit score simulator. With this site, the report from TransUnion is absolutely free and comes with recommendations on how you can actually improve your credit score as well as manage debts. The site is intuitive and user-friendly and gives you an easy way to see your report without too many navigational procedures. The only downside to this site is that it only gives a single report from one of the bureaus and this may limit an individual from getting the overall financial position he/she is in. However, it is still a good site since the information gives an insight of your overall financial stability. This is equally the same to Identity Guard and gives new members a 30-day free trial period after which the user may choose to either cancel the subscription or select either the $13 (ultra-secure) or the $20 (ultra-secure + credit) credit report subscription per month. The former only delivers credit monitoring services while the latter gives you a chance to view a more detailed credit report accompanied by your credit score. The credit report is supplied after every three months (quarterly basis). The good thing about subscribing to this credit reporting site is that you can compare three different reports from the three sites and in case you realize any case of identity theft or unauthorized transaction by a third party, you raise an alarm immediately for the appropriate measures and protection to be taken. Lastly, prompt alerts are sent via texts and emails in case any suspicious activity is detected on your account. There is also a $1 million identity theft insurance coverage for clients. TransUnion is one of the credit bureaus mandated with the task of providing credit reports and credit scores for individuals as well as businesses. Apart from the mandate, it also has a credit monitoring service meant to keep all the subscribers up to date with changes in their credit reports and scores. As a member of TransUnion, you will have unlimited access to your credit report and credit scores on a monthly paid subscription. You can actually lock your credit information from being accessed by third parties using the 1 touch credit lock in your profile. In case of any changes in your credit report and score, you will be alerted via phone as well as email. Another feature that makes TransUnion one of the best credit report sites is getting to know the trend in your credit score using the score trending feature. Moreover, you can actually simulate and predict how certain activities might affect your credit using the credit simulator. In order to help individuals make smart moves with their money, the site provides personal credit and debt analysis for every member. Two types of subscriptions do exist; the $9.95 payment per month as well as the $19.95 per month. The latter has more features compared to the former. Some of the special features include; locking and unlocking your credit report, up to $1,000,000 ID theft insurance, the score simulator and the credit and debt analysis among others. 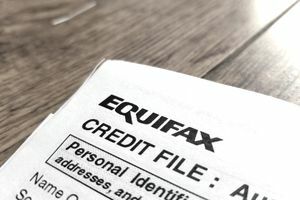 This is one of the three credit bureaus in the United States charged preparing credit reports, monitoring them and providing credit score ratings for individuals and businesses. It enables clients to access their reports from the three bureaus once annually. It has an Equifax complete advantage program that provides the 3 bureau credit report alongside setting up your credit profile. The 3 bureau report is released on an annual basis although subscribers can still access their reports by Equifax by subscribing to either Complete Report or Credit Report and Score. The complete report allows you access to 3 bureau reports for $39.95. For those who would like to see their reports more often, there is a 3 month period pack that goes for $99.95. Apart from the reports, Equifax also offers ID theft insurance coverage of $25,000 just in case you become a victim of ID theft. On top of that, you can stay informed on any suspicious activity that could be going on in your account by getting quick telephone and email alerts courtesy of the mobile app. The only disadvantage with Equifax is that if you need the 3 bureau report frequently, then you need to pay more money otherwise you will have to settle for the free annual report. A good credit report that contains all the information about how you handle your financial obligations is very crucial whenever you are applying for a loan or any other form of credit. Only three bureaus are mandated to produce this report although each bureau uses different models to come up with your scores. It is always advisable to register with all the bureaus for comparison purposes because each report is different. The sites listed here have partnered with either one, two or all the three bureaus in order to provide their members with credit reports.